Characterize actionable opportunities and mechanisms for overcoming barriers. Ultimately, our aim is to identify which policies present the greatest priorities and opportunities for change, and what the mechanisms are for realizing those opportunities. This project is being conducted through a partnership between the Ecosystem Workforce Program and Dr. Courtney Schultz, Director of the Public Lands Policy Group at Colorado State University. #86: Prescribed Fire Policy Barriers and Opportunities: A Diversity of Challenges Across the West. 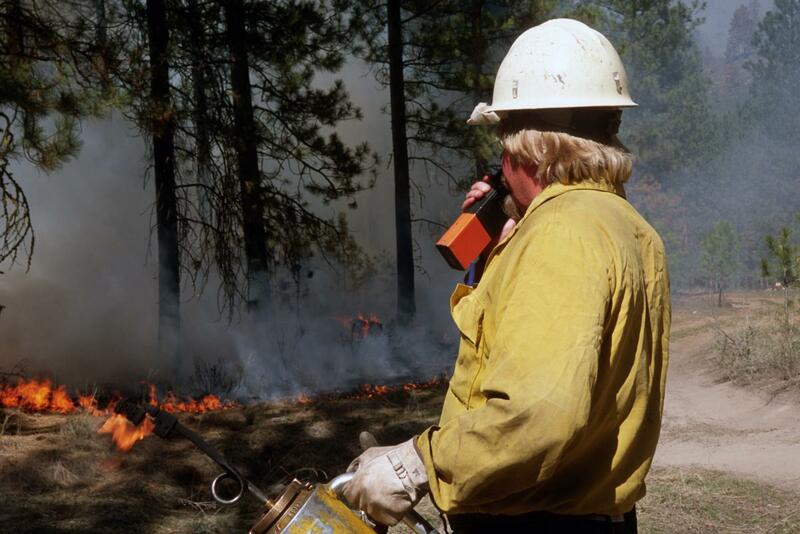 This first report covers findings from interviews with state and federal agencies, prescribed fire councils, and others involved in prescribed fire work on national forest or BLM land. Legal Appendix to Working Paper #86: This appendix provides additional detail from our legal research on air quality law and policy. It includes an overview of the federal Clean Air Act, followed by details for each of the 11 western states in our study.